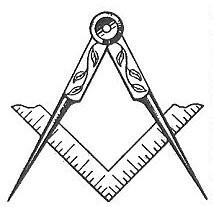 In 1909, the Standing Committee of the Public School Lodges was founded by the Lodges of Westminster, Charterhouse, Cheltenham, Sherborne and Clifton to promote and disseminate Public School Freemasonry. The title of Public School Lodges' Council was adopted in 1936. There are 33 Lodges represented on the Council (including a Lodge for Installed Masters), with Royal Arch Chapters associated with Charterhouse, Sherborne, Merchant Taylors' and Taunton. The Public Schools Royal Arch Chapter is attached to Westminster. The first Festival was held at Westminster in 1910 and was followed by Festivals at Charterhouse in 1912, Cheltenham in 1913 and Sherborne in 1914. Festivals did not take place during the First World War, but restarted in 1920 at Clifton. They then occurred annually, until the hostilities of the Second World War forced their suspension until 1957. Since then, our Festival has again become an annual event. Old Tauntonian Lodge hosted the Festival at Taunton School in 1988 and is scheduled to do so again in 2038.